Ready-Select controls Easy-to-use electronic controls with control lock capability. Squeeze latch handle Handle comes with a stay-put door design. Quiet operation A 60 dBA rating means a quiet performance every time, so you won't interrupt your household while running loads. Accommodates up to 14 place settings Generous interior space means more clean dishes, less loads. Flexible loading options The upper rack has a height clearance of 8", while the lower rack has a clearance of 11". 3 wash cycles give you more cleaning options Includes Heavy, Normal, and Light cycle options. 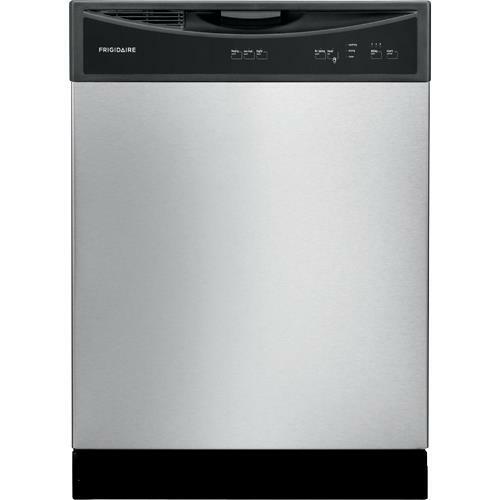 Delay start Set your dishwasher to run on your own schedule with 2-4-6 hour delay options.